“free-to-play” tag by giving a majority of the features available completely free, but with premium options for certain aspects of the game. To play the game for free, simply visit the website and use the web-client. Customization in Ascent is a bit arbitrary, at least when it comes to your ‘character.’ You can do some minor customization to your avatar, but that’s about it. 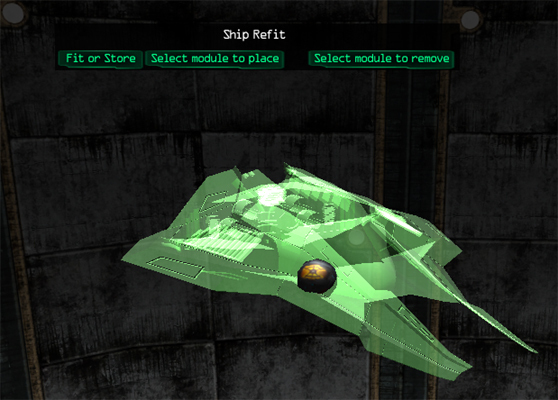 Most of the customization comes in the form of changing your ships components or setting up colonies. It’s basically what you would expect from a space game or city-builder. Personally, so far it feels like there’s not much there but the game is far from complete. It is possible to equip your ship with new components. For example, you could attach a hyperdrive to your ship. This allows you to bypass the stargates, but requires a special fuel. It isn’t incredibly in-depth, at least not yet. 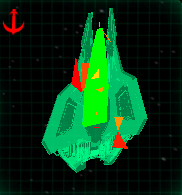 But it’s still nice to know that it’s possible to add and change out components to help alter your ship to your needs. One of the first things you’ll notice is that Ascent does NOT have the best graphics in the world. They’re a bit sub-par, to be honest. However, I’m used to the lower-quality graphics found in these types of indie sci-fi games. It’s understandable – a small team working on a big game and all that. But, for some, I think there will be an issue with the graphics. I’m worried that a lot of people just won’t like them, and some will down-right hate them to the point that they won’t play the game. So to enjoy Ascent, you’ll need to be the type of person who can enjoy a game with “bad” graphics. The community in Ascent isn’t too big of a factor, at least early on. Perhaps later on, it’ll become more important as politics become more apparent. The community itself seems to be mixed of players who are die-hard fans of the potential in Ascend and those that seemingly want to see the game burn, yet still follow the game. It’s a bit confusing at times. The community is, however, rather helpful. Ascent is one of those games where you’re not going to get the full effect without spending a ton of time in the game. There are a number of different gameplay elements, but you’ll probably end up spending a decent amount of time either fighting or building and maintaining colonies. You may spend some time doing transport or space mining as well. 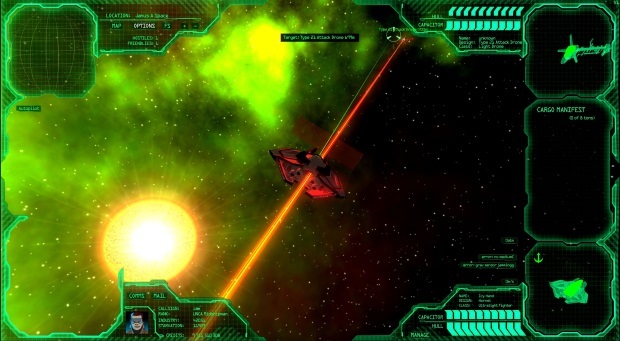 The game is a mix of a 3D Space shooter and your average browser-based strategy game. By themselves, these elements are nothing special, but when put together you get something fantastic. Combat in Ascent is pretty decent for a browser-based sci-fi game. You can play in either third or first person, but I feel to get the full effect you should play in first, at least while in combat. 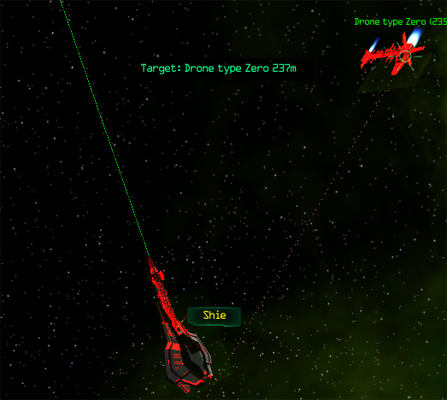 The game follows Newtonian Physics, so if you boost your ship in one direction, you flip around and start shooting behind you while still heading in the direction you originally gave thrust, which leads to some interesting tactics to use in combat. Your ship does come equipped with a “grav anchor” that can be used to easily stabilize yourself. But, to reach maximum maneuverability and higher speeds, you’ll need to disable it. Disabling and re-enabling your anchor will be something you do a lot in combat and even general travel. One thing I found interesting is that your shield is split up into sections. Early on, you are taught that if you are receiving a lot of damage to your front shield, you could easily turn your ship to help spread the damage to other portions of your shield. If you fail to do so, your front shield could be broken and you will receive direct damage to your hull. So combat relies a lot on learning the timing of an enemy’s attacks, so you can shoot, turn, and wait for your enemy to hit you (or miss) and then turn around again and hit them again while their weapons are charging for the next shot. I imagine that high-end combat, at least in the smaller fighter type ships, will look very twitchy. Combat is definitely not everything in Ascent, however. In fact, past the first few hours in the game, you may find yourself partaking in combat a lot less frequently. As a 4X title, the game is more empire building than anything else, so you’ll spend a lot of your time doing things that build your empire (or your funds.) These are things like trade, transporting, mining, or colonizing. Mining is pretty straight forward: you get near an asteroid that contains resources and then fire off your mining laser, then continue doing that to get resources from the ‘roid – very similar to what you do in Eve Online. 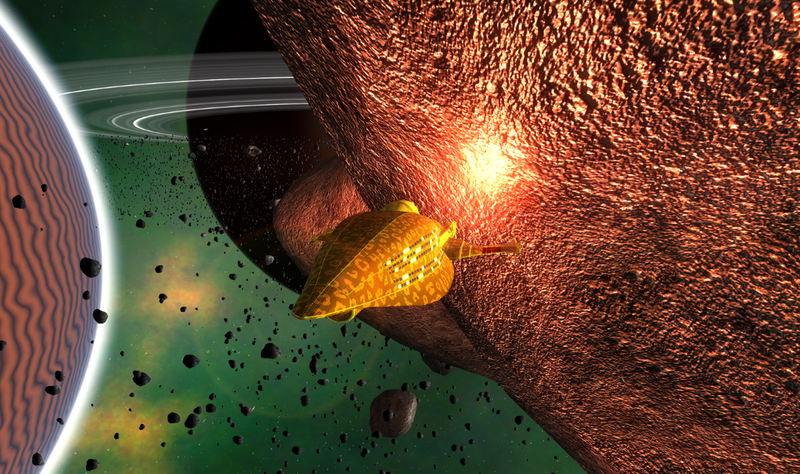 There’s also gas scooping on gas giants, too. Each space station in the game seems to have a contract board. These contain missions you can pick-up, or it can be used to buy rights/information about shipwrecks and such. Early on, you’ll probably find yourself working as a sort of taxi or cargo transporter using the contract board to make some starting funds. 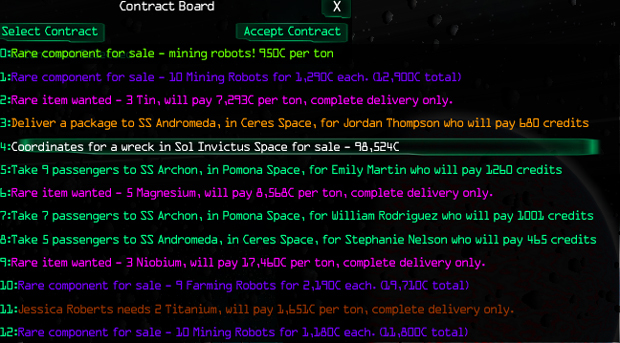 Getting a starting cargo-ship is fairly cheap, so you’ll have no problem getting to work. Colonizing seems to be something mainly for people who wish to be premium players, at least, that’s the initial impression I got. Apparently there are deep space colonies that can be made without having premium, so it’s not quite out of reach for a free player. Two of the eight major planets are available to free players, with the last 6 requiring a monthly subscription that is something like $0.99 per planet. 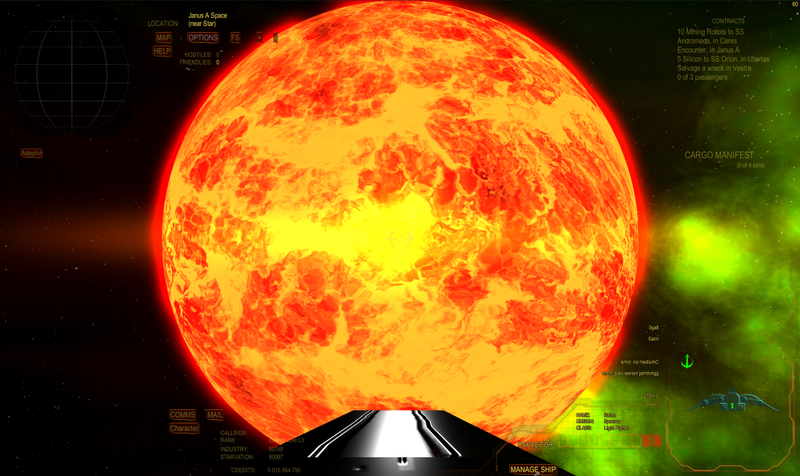 But, early on, those two planets along with a Starbase is all you’ll need to enjoy the game. Exploration plays a part in the game. From what I understand, there’s a mind-numbingly large number of possible systems to be discovered. And, if you’re the one to find the system, you will be recognized for it. Exploration also plays a part in the colonization, as you’ll want to look far and wide to the best places to colonize, so you’ll end up doing a lot of exploration and surveying. It seems like you get access to all the features for free. However, to get deep into each feature you’ll need to shell out some money. This isn’t too bad, though, because the amounts are pretty low. It’s nice that you can basically “build” your subscription plan with things you wish to focus on instead of paying for everything. And if you did want to pay for everything, it wouldn’t be too expensive. While the game is certainly interesting, I feel it still has a long way to go before I will be willing to put money into it. As it stands, Shores of Hazeron (as an example) is a very similar game with a larger scale and more features but is still completely free. I just can’t justify paying $5 on Desura or any amount of money on a game that feels like it’s in early alpha stages. I did have fun with it, but I found myself wanting to go play other similar games while playing Ascent. That all being said, the game is certainly shaping up into something great. 4X games are one of my favorite genres and I feel the development of Ascent is going in the right direction. I fear it’ll be a few more years before it’s “ready” for me, but I’m willing to wait. I waited years and years for both Shores of Hazeron and Wurm Online, so I can certainly do the same for Ascent. In the end, while I feel the game is not yet worth the money, I would not discourage anyone from paying for premium features or checking out the free-to-play side of the game. If you have some spare cash, and feel Ascent is the game for you, then I highly suggest you take the steps to support the developer. Be sure to check out the games Steam Greenlight page.